Unlike other thermal cyclers, the Biometra TRIO Combi offers three independent blocks (48, .2ml tube well and 18, .5ml tube wells) and heated lids within a single housing. 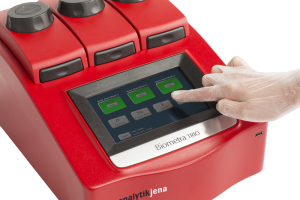 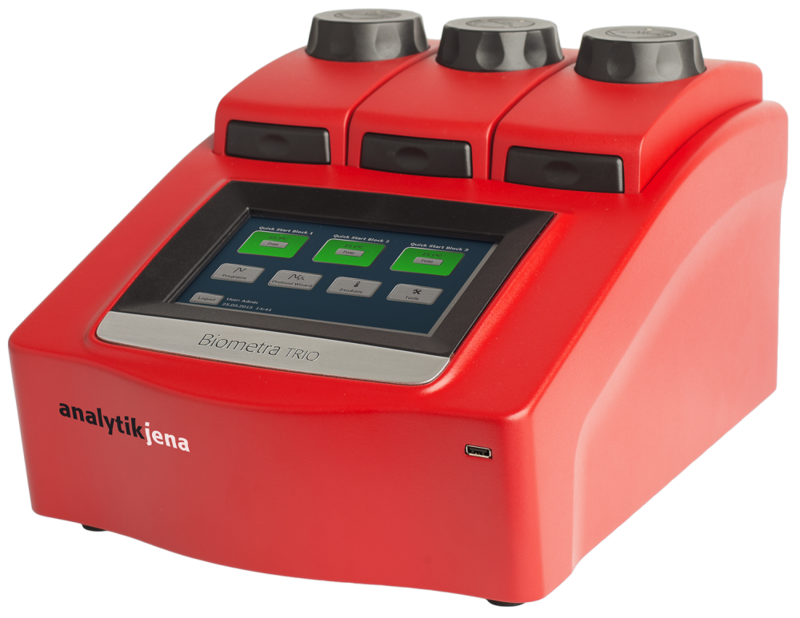 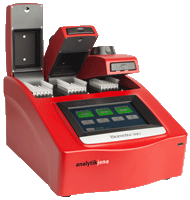 Multi block technology allows for three independent protocols to be run simultaneously without sacrificing sample throughput (up to 144 x 0.2 ml samples). 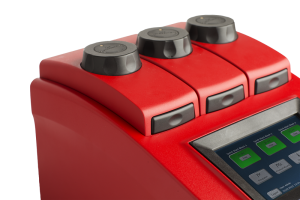 A new temperature optimization step while inputting your program provides a gradient-like function. A newly designed air stream allows the TRIO to achieve higher heating and cooling rates.